The maintenance of the oral cavity is a tough job to take but the responsibility lies on the perfect partnership that the dentist and the patient. If one wishes to maintain the function and aesthetics of the teeth, one needs to safeguard the health of the mouth and all the structure within it. 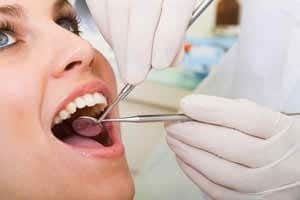 The health of the teeth, the gums, the bone and all the other structures rely on the efforts you put in —- if you wish to continue to enjoy your smile, you will put importance on the offered Smiles of La Mesa dental treatments in the dental clinic and the instructions that dentists give for proper oral hygiene. – Dental Cleaning or Smiles of La Mesa Oral Hygiene is a basic preventive dental procedure that is performed every six months or twice a year on a patient. At times, a patient may require more frequent appointments for dental cleaning, especially when plaque and stain accumulation is increased. This procedure involves the scaling and planning of the teeth surface along the crowns and roots, so that all of the adherent plaque and calcular deposits may be removed and not cause disease. – Dental Sealant Applications are a different form preventive measure. It directly protects the teeth by providing a cover on the surface of the teeth so that bacteria may be prevented to penetrate. The normal anatomy of the tooth includes grooves and fissures on the biting surfaces. These areas collect plaque and allow bacteria to thrive so that disease is given a chance to develop. – Dental Fluoride is another preventive measure. Fluoride is an element that when allowed to penetrate into the teeth should render the tissues strong. A good dose of fluoride on a regular basis should help make the teeth strong and less susceptible to disease. Whether it is painted on or applied in its gel form, fluoride is able to penetrate well into the tissues so that disease may be prevented. While the work of the dentist in the clinic is valuable, the efforts that the dentist and his team put in are not enough. Outside of the clinic, you are expected to do your part at home. With your own efforts, you should be able to give your oral health a better means to survive and flourish in function. Tooth brushing is the most basic yet the most reliable thing you can do. Using a properly chosen toothbrush and toothpaste, one is expected to clean the mouth thoroughly so that plaque can be effectively removed. Plaque that accumulates on a daily basis ought to be removed because this causes dental disease. Thorough brushing, coupled by religious and proper flossing and rinsing of the mouth also helps to keep the mouth clean and healthy.